After years of essentially ignoring influencers, Snapchat finally seems to be cozying up to them. The company announced a series of updates for users on Wednesday, including one called Paperclip that allows them to link to external websites on their videos. When people see videos on Snapchat featuring these links, they just have to swipe up to visit the external sites. The other two updates Snapchat announced on Wednesday allow users to modify their voices in their videos and add custom backdrops. 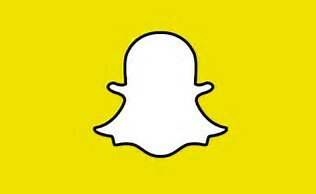 Until now, average Snapchat users could not link out to external websites. But brands could prompt users to webpages and app download links in their ads. Rival platform Instagram too has steered clear of making links available widely so far, allowing general users to add links in their profile bios, and only brands and verified accounts (like celebrities) to add links in their Instagram Stories. "This (update) gives an edge back to Snapchat over Instagram, which only allows verified users to link out," said Jeremy Leon, vp of strategy at agency Laundry Service. "It has huge implications for creators and influencers on the platform." The update comes at an interesting time, with several reports » detailing Snapchat’s general indifference of influencers. Both YouTube and Instagram have invested significantly in cultivating influencers. But Snapchat has thus far set its sights on catering to its core users and promoting its own style of creating content » , rather than influencers and brands trying to build organic presences on the platform. A recent study by influencer agency Collective Bias found that Snapchat was the social network that influencers said they’d most likely have a presence on but not be active on. 46% of the survey’s respondents also indicated that Snap would be their first choice to cut, followed by YouTube and Twitter. The latest update, whether intentional or not, is a move that is likely to appease influencers. Social stars on Snapchat can now drive traffic to branded pages and products far more seamlessly, even opening up greater revenue opportunities if users complete purchases through the affiliate links they share. "This is definitely a move in the right direction," said Evan Garber, a Snapchat influencer who has worked with brands including Disney, General Electric and McDonald’s, either hawking them in his own posts or doing takeovers for these brands’ organic accounts. "This shows that they are expanding their platform beyond just one-to-one messaging that it was originally intended for." It will help not only help Snap retain its current crop of influencers, but may even help attract new ones, added Garber. "A big strategy among brands and influencers is to cross-promote content and direct followers to content on other platforms," he said. "So far, Snapchat was a closed space and didn’t permit that, but now, it’ll attract more influencers." Brands, like Benefit Cosmetics, for example, too are planning to incorporate Paperclip into their daily Snapchat Stories as a way to link users out to product pages, YouTube video content and product checkout pages. "We will continue to watch and see what types of data Snapchat will release along with this feature so we can better compare the level of engagement between our Snapchat and Instagram Stories communities," said Ginger Pelz, senior manager of influencer strategy at Benefit. For Snapchat to fully capitalize on the feature, data is key moving forward, said Tim Sovay, chief operating officer at influencer management firm CreatorIQ. "Until Snapchat offers more analytics and demographic information, brands will encourage influencers to distribute content on other social platforms," he said. "That is where they can better target defined audience segments through both organic and paid distribution."